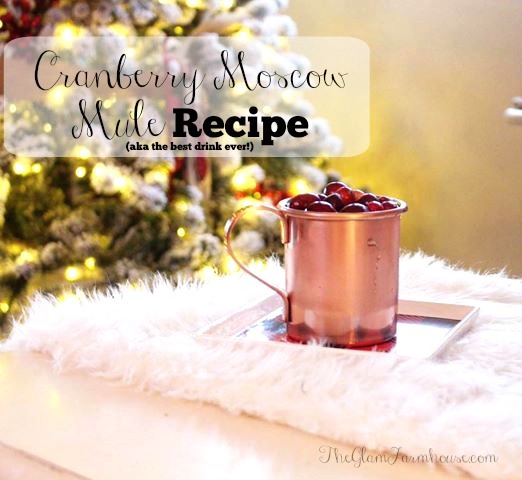 I don't typically blog on Saturday's but I've been getting a TON of requests for the Cranberry Moscow Mule Recipe and wanted to share it here so you have somewhere to reference, just sometimes makes things easier then having to repeat the recipe to everyone who asks, ya know? You can and should adjust this recipe according to tastes and cup sizes. I'm not a heavy drinker (contrary to popular belief.. lol) and actually don't like the taste of most liquor, beer or alcohol in general. These Mules are super light, refreshing and very much enjoyable. The perfect Date Night, or entertaining drink. This will probably be my go to for the rest of the season, straight up through New Years and beyond! The recipe is super easy- and I've found tweaking things to my taste and adding a small ingredient upped the tastiness for me. Start with two Moscow Mule cups- I'll share my favs and some other options at the bottom of this post. Add a Handful of Ice to your cups. Cubed ice is best for this particular drink. I use my mini mason jar shot glasses- and did one shot each of vodka in each individual cup. Empty HALF the contents of the ginger beer into each cup. 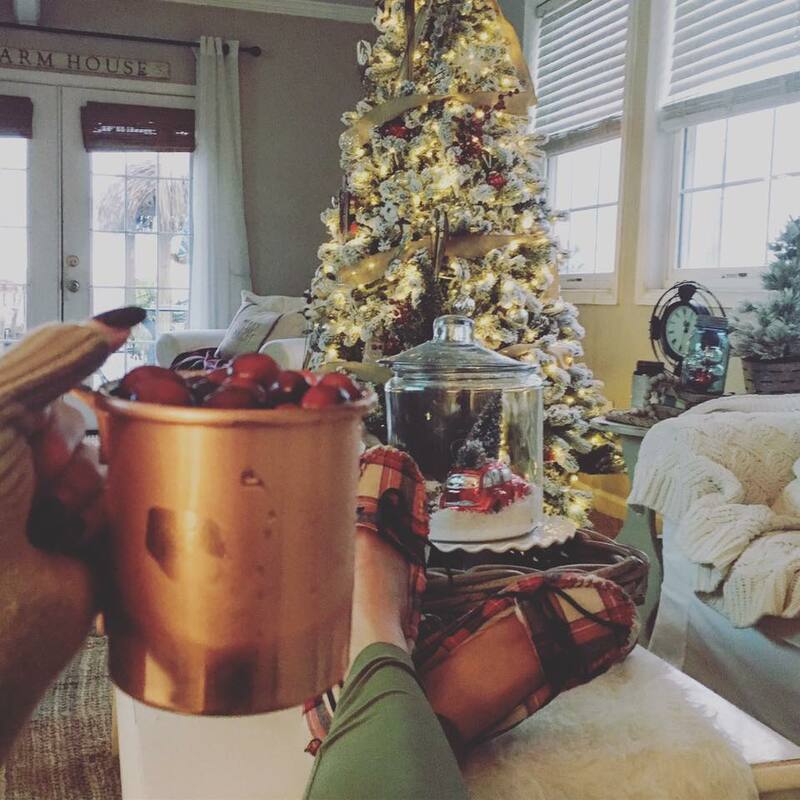 I have little Moscow Mules (need bigger ones!) If you're cups are bigger you can use ONE ginger beer PER individual cup. Squeeze the juice of HALF a lime into each individual cup, using the whole lime. Top with Orange Slices, Cranberries, Lime or all of the above! And there ya have it- I present to you, your new FAVORITE drink my friends. You can hug and thank me later. Just go enjoy! Like this post? Spread the L-O-V-E and pin it for later! I watched your Instastory and this sounds soooo yummy! I'm so glad that you posted the recipe here! We will definitely be making these soon!